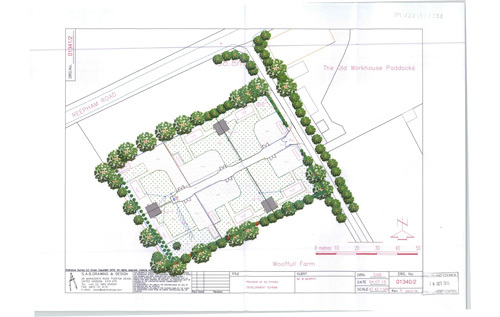 A planning application has been submitted to Breckland District Council for a change of use of land to a private gypsy and traveller caravan site consisting of six pitches and six amenity buildings at The Stables, west of the Old Workhouse Paddocks, Reepham Road, Bawdeswell. The planning application will be discussed at the meeting of Bawdeswell Parish Council at 7.30 pm on Monday 4 April in Bawdeswell Village Hall, Reepham Road, Bawdeswell. The relevant planning application documents (Ref: 3PL/2015/1258/F) can be viewed online.